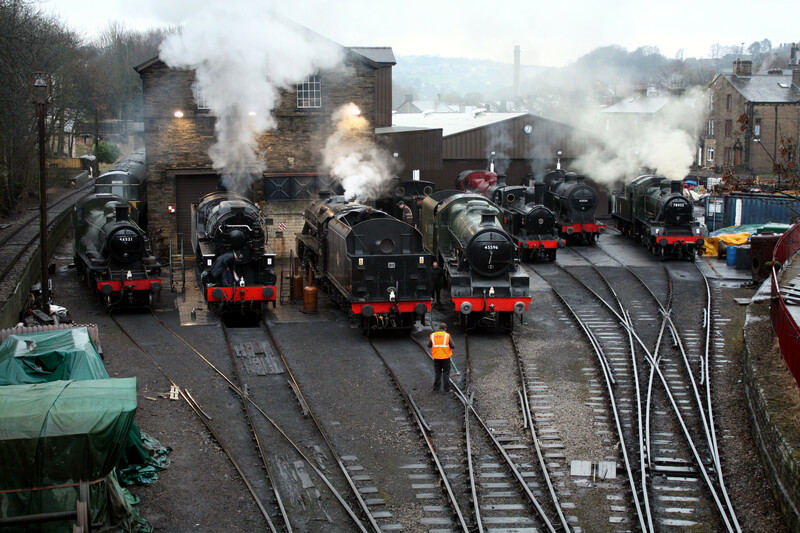 The spring steam gala is a much anticipated event as it is one of the first big events held as the tourist lines start up again after the winter, However it does carry some risk as the weather in the valleys of West Yorkshire in March is not exactly renowned for being either good or predictable. I was on my way to exhibit one of my Z gauge layouts at the annual Keighley model railway exhibition and thought I'd call in on the Friday afternoon. The weather was appalling! Driving rain and howling winds made for difficult conditions to film in but did not put off the hundreds of visitors on the first day. 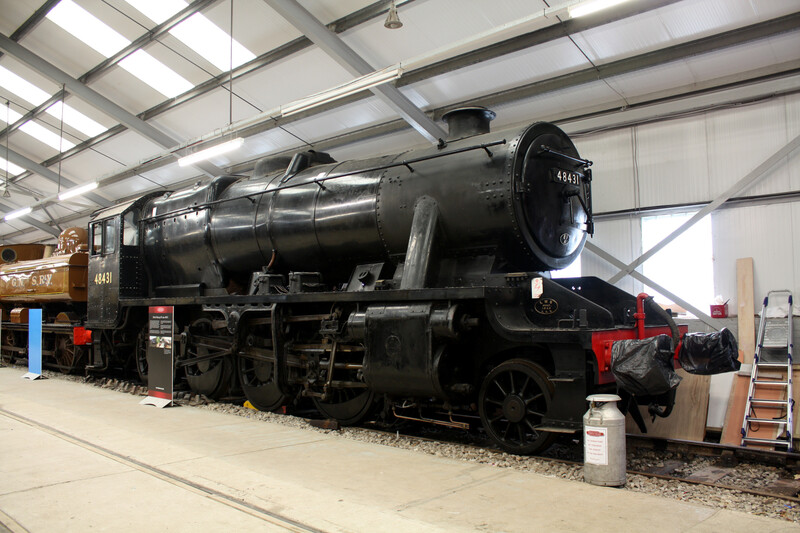 LMS Class 2 2-6-0T 46521, USATC S160 5820 'Big Jim', LMS Black 5 4-6-0 45212, LMS Jubille class 45596 'Bahamas'. 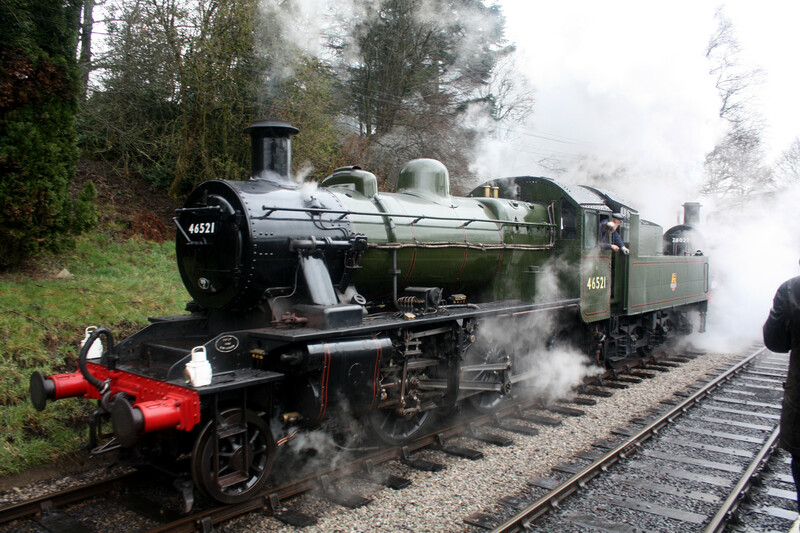 LNWR 0-6-"T Coal tank 1054 with LMS Ivatt 2MT 2-6-2T 41241 behind, LMS 4F 0-6-0 43924, BR class 2 2-6-0 78022 also just back after an overhaul. 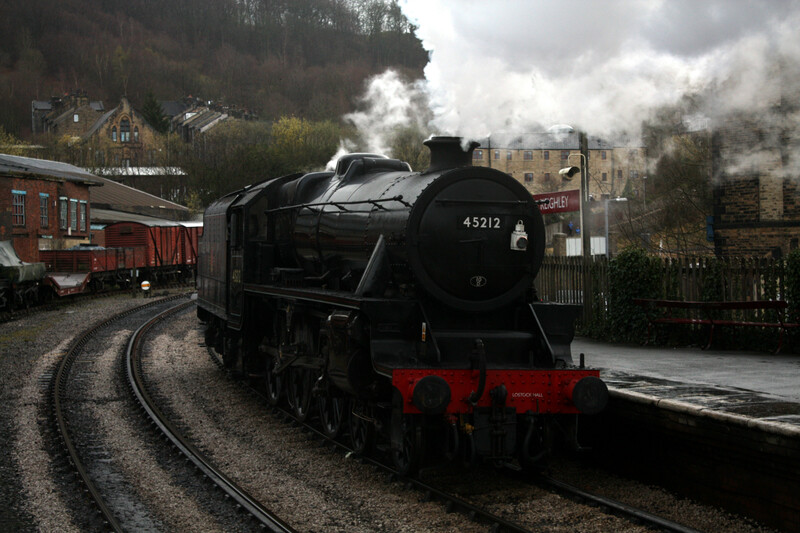 The William Stanier designed Black 5 45212 runs light engine up the hill out of Keighley station. The weather was getting really ropy by this stage! 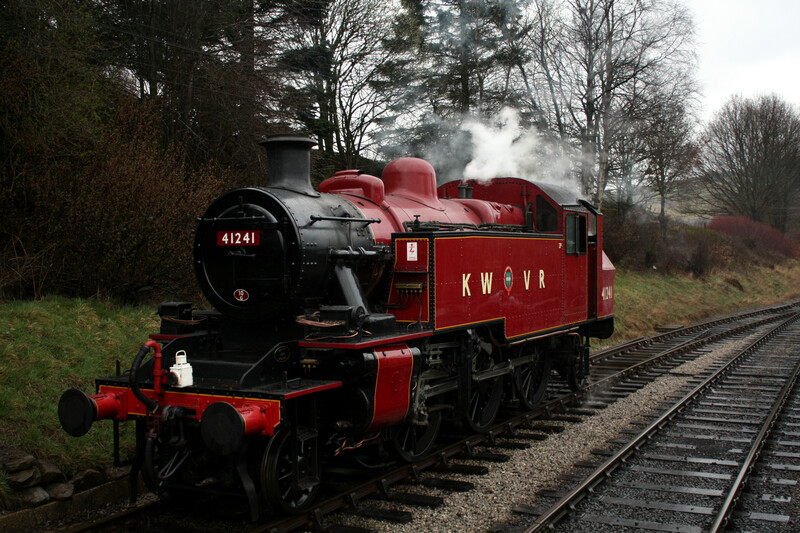 The Ivatt 2-6-2T 41241 in its rather bright red paint scheme running round the train at Oxenhope. 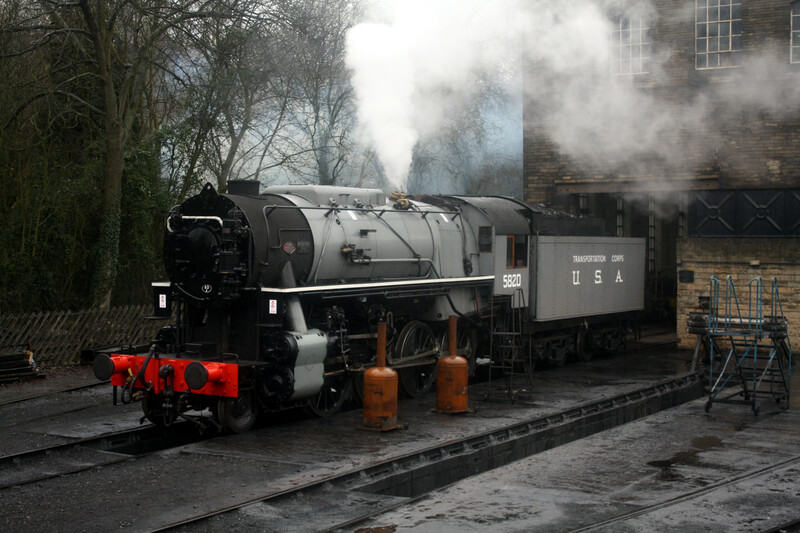 In driving rain 'Bahamas' arrives at Oxenhope. One of the stars of the 'Railway Children' was this ex Great Western 0-6-0PT number 5775 which hauled the 'Old Gentlemen's train' in the film. Formerly operated by London Transport it came to the railway in 1970 and was painted in its fictitious livery for the movie. 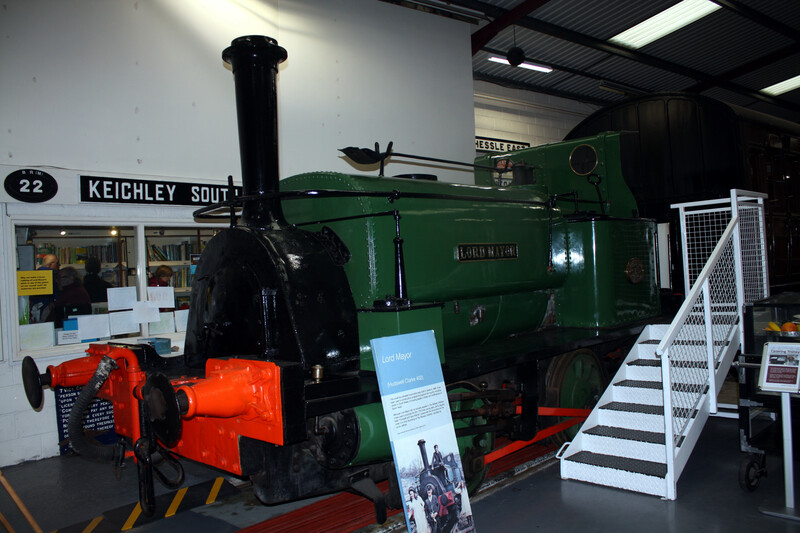 The railway has also built up a reputation for outstanding work on preserving some very rare passenger stock. 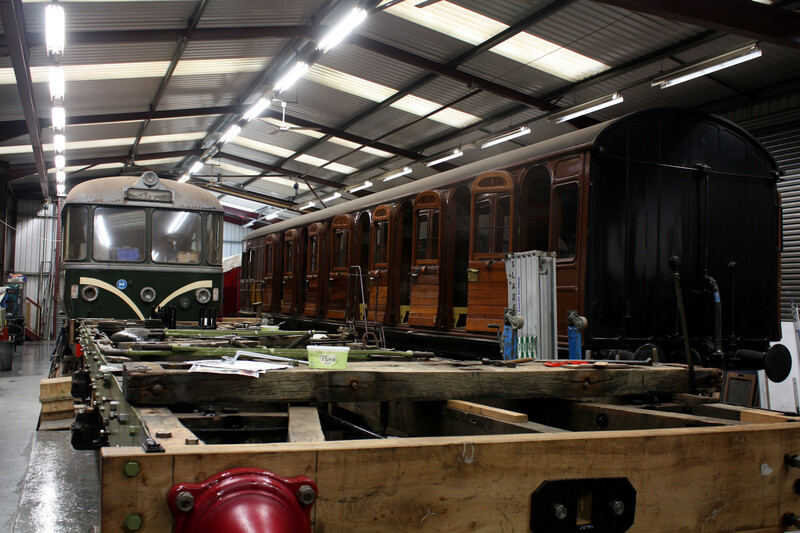 The Vintage Carriage Trust is rescuing nationally important coaching stock and restoring them to full service. 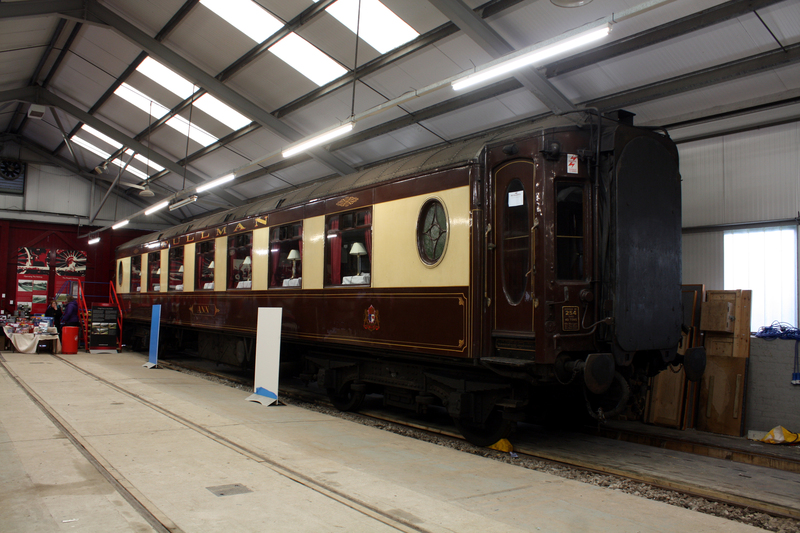 The Lancashire and Yorkshire Railway saloon is magnificent and was running on a shuttle train with some other L&Y six wheel stock. 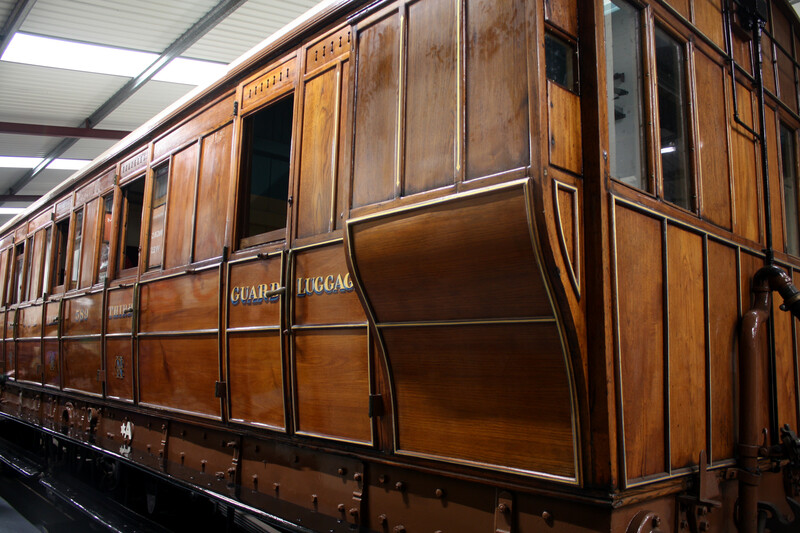 A Great Northern Railway teak coach. The attention to detail can clearly be seen. In the video, despite the weather you'll get a flavour of just how much there is packed into this little railway. 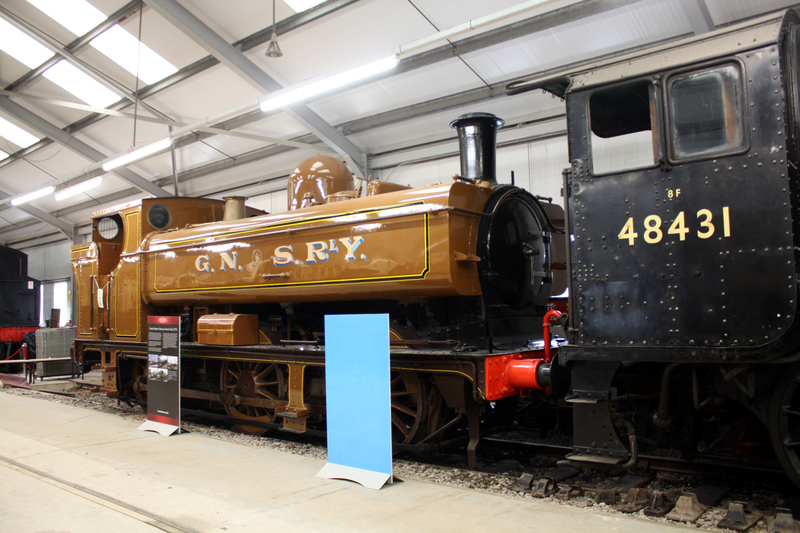 I did comment though to one of my companions that it was definitely an OMWDC event, A phrase we coined at Barrow Hill Roundhouse it stands for 'Old men with digital cameras!' I can say that because I suspect I may be one myself! 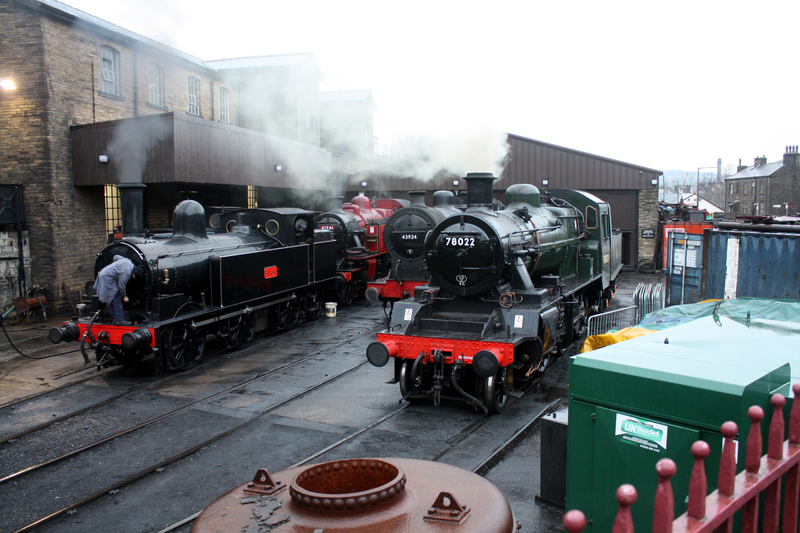 It starts with the action on Friday followed by some scene setters at Haworth in the yard as the locos were prepped for the Sunday running. At the end is a short section of footage taken from some Super 8 my dad shot in the early days of the railway, Quite a contrast. 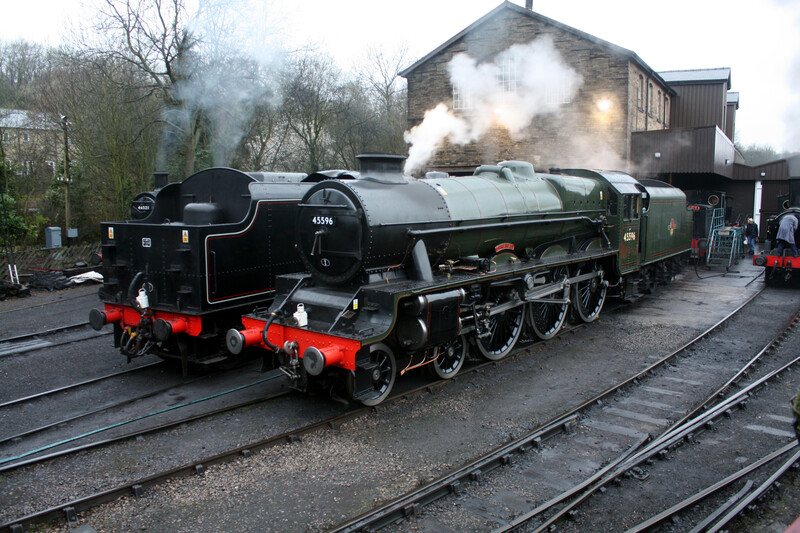 So the following weekend, Saturday the 16th, was supposed to be 'Cumbrian Coast Express' excursion going through our village hauled by either 'Leander' or 'Galatea'. 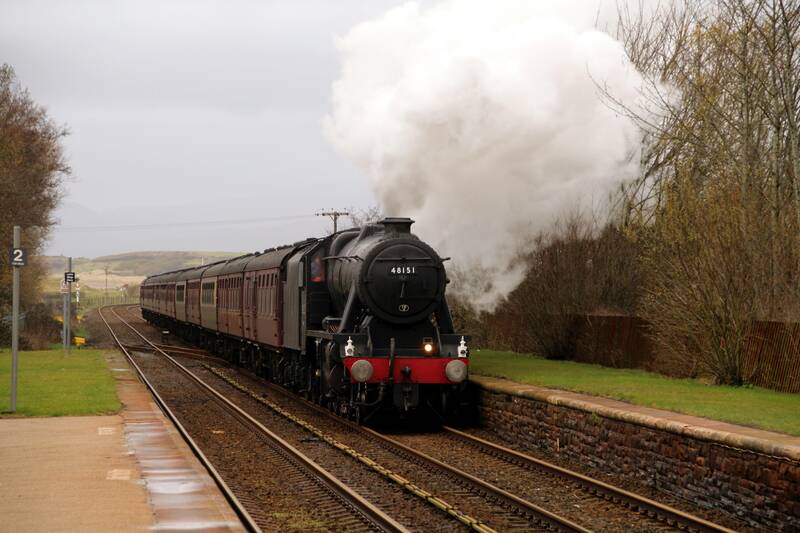 Sister Jubilee class engines to 'Bahamas' as it came around the Golf course curve it became apparent that it wasn't a 'Jub'. Sister engine to 48431, 8F 48151, had stepped up to the plate and was attacking the bank up to Park summit with some gusto. 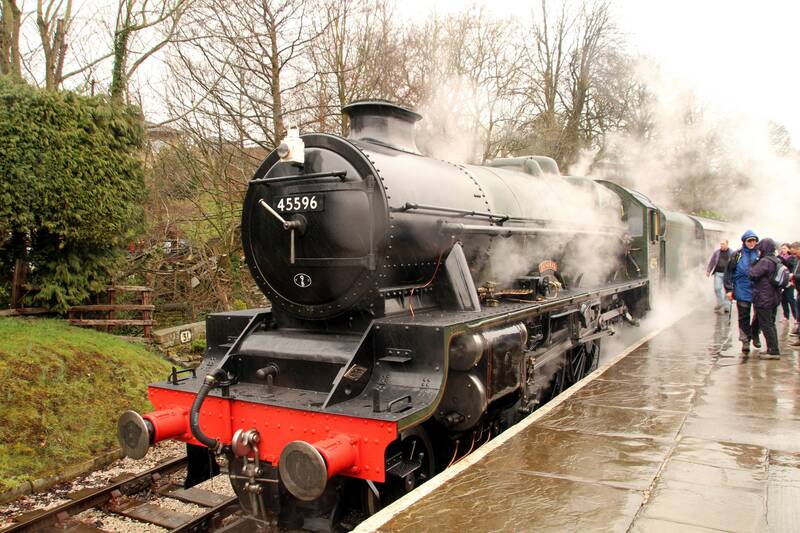 Makes me want to get some British steam. 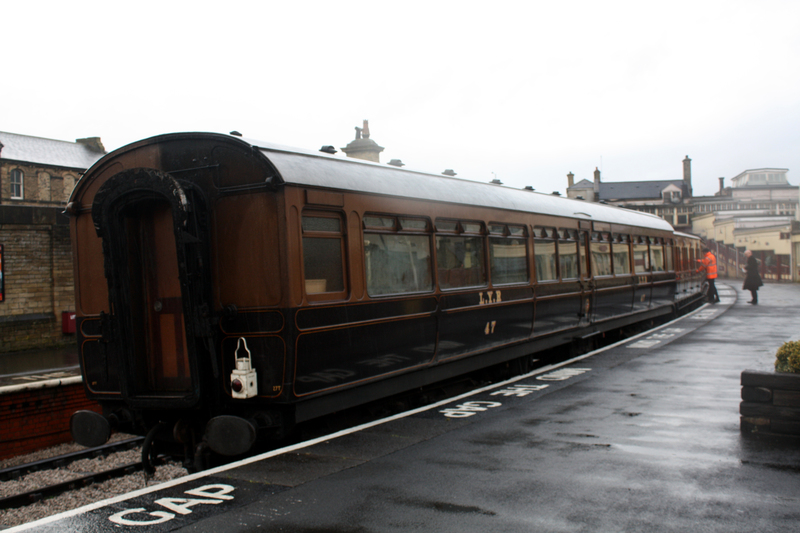 Those teak coaches are beautiful.